Hi. Welcome to the day 11 of my ’30 days, 30 posts’ challenge- where I’ll be writing one interesting post daily for the 30 consecutive days. 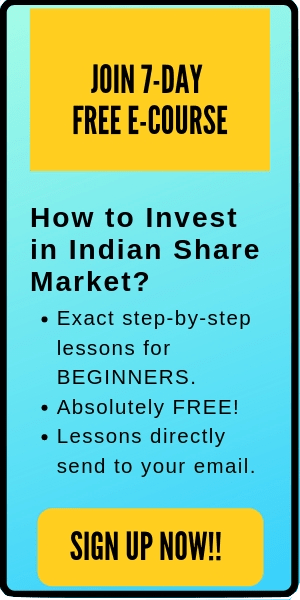 In the last couple of days, I received multiple emails to cover the topic- Index fund investing in India. So, today’s post is based on the public demand. Here are the sub-topics that we are going to discuss in this post. Why are Index funds more popular in developed countries? More than 5,000 companies are publically listed in the Indian stock market. Therefore, selecting a few good stocks to invest can be a cumbersome work for any fund manager. There are two popular approaches to managing a fund- Actively managing and passively managing. In an active fund, the fund managers choose the stock to invest based on the goal of that fund. Here, the manager tries to beat the market by choosing better stocks. Nevertheless, the problem with active funds is that the return on these funds depends on the goal and efficiency of the manager. Moreover, even if you are able to find a good fund with a coherent manager, still there is some danger of what might happen in the case the manager quits and moves to some other fund house. On the other hand, the passive funds are process driven. Here, the fund invests in an index and the manager doesn’t have to choose the stocks to invest. For a passive fund, even if the manager leaves, it won’t create much trouble. Anyways, before we start discussing index funds in details, let’s quickly brush up the basics. Since there are thousands of company listed on a stock exchange, hence it’s really hard to track every single stock to evaluate the market performance at a time. Therefore, a smaller sample is taken which is the representative of the whole market. This small sample is called Index and it helps in the measurement of the value of a section of the stock market. The index is computed from the prices of selected stocks. 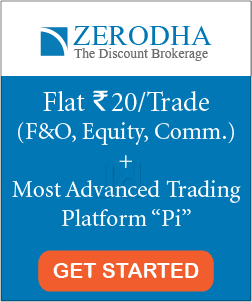 For example- Sensex, also called BSE 30, is the market index consisting of 30 well-established and financially sound companies listed on the Bombay Stock Exchange (BSE). And Nifty, also called NIFTY 50, is the market index which consists of 50 well-established and financially sound companies listed on National Stock Exchange of India (NSE). Read more here— What is Sensex and Nifty? A few other popular indexes in India are Nifty next 50, BSE Smallcap, BSE midcap, BSE S&P 500 etc. Index funds are a passive investment strategy that attempts to generate similar returns as a market index. These funds try to replicate the performance of a specific index by entirely copying the stocks in the same composition as of the index. For example, if an index fund is benchmarked to Nifty 50, it will buy all the 50 stocks in the Nifty index in the same proportion as nifty 50. Here is another example- Reliance Index -Sensex -Direct (G) fund is benchmarked to Sensex. Hence, it copies all the 30 stocks of Sensex in the same proportion. Therefore, its return will be similar to Sensex. Low expense ratio– As these funds are passively maintained, the expense ratio of index funds are relatively lower compared to the active funds. This ratio can lie somewhere between 0.2-1.2%. No dependency on the fund manager – In the index funds, the stocks are not picked by the fund managers. These funds are merely copying the index. That’s why even if the fund manager of an index fund quits, it won’t create any havoc (unlike actively managed funds). 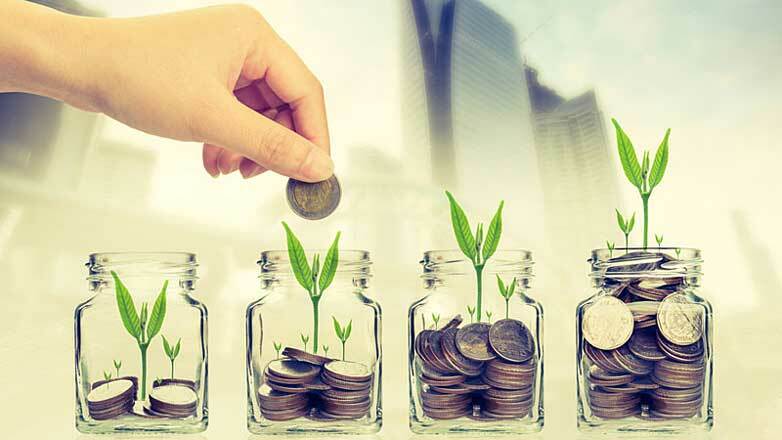 Easy to understand and select the funds — For the active funds, you need to read and understand the reason why the fund manager believes any stock can perform well in future. And this can be a very tedious job. On the other hand, the stock selection in the index fund is quite straightforward. No flexibility to the fund manager— In an index fund, the managers cannot pick stocks of their choices. So, even if he/she knew some amazing stocks- the fund cannot invest in it. Index funds can’t beat the returns from the market: The best an index fund can do is to match the returns of the specified index. Nevertheless, if you subtract the expense ratio and other charges- the returns are even lower. Have to stick with the poor stocks: An index fund can’t sell a stock which is a part of the index. For example, if a fund invests in the Nifty 50 stocks- even if some of the stocks (out of 50) are not performing well/doesn’t have good potential, still, the manager can’t sell that stock. An index fund has to keep as the stocks similar to the index in the same proportion. An index fund holds all the risks associated with the asset class: If a particular index has some definite set of risks, then the associated index fund will also have the same risks. Tracking Error in Index funds: Many times, the index fund does not perfectly track the composition of the fund. This can be because of a number of reasons like the difference in the time between accepting investment and buying stocks, rounding off the stock units, dividend adjusting etc. In short, index fund investing in India has both pros and cons- as discussed above. Nonetheless, there’s one additional sub-topic regarding index fund investing in India, that you should also know. There are various studies that suggest that investing in index funds outperforms actively managed funds over the long-term. But most of these studies have been made in developed countries like US, UK, etc. And hence, the conclusion might not be the same for the developing countries like India. For the developed countries, the stock market is somewhat efficient and they have a broader index. In addition, the expense ratio for the Index funds in the US is also quite low (less than 0.2% for most of the funds). That’s why people prefer investing in the passive index funds in the developed countries. However, India is a developing country. It has a lot of opportunities outside the index fund that an active fund manager can explore. Moreover, there are a number of active funds in India which has consistently beaten the market. And that’s why active funds are more popular than index fund investing in India. Also read: Is the stock market efficient? Index fund investing in India is a good alternative for the people who like a straightforward way of investing in funds. These funds have no dependency on the fund manager, a pre-set defined stocks and a low expense ratio compared to the active funds. The best part- unlike active funds- Index funds are easy to select.